Year in, year out gaming out performs film and TV as the largest entertainment industry in the world. To some, this news won’t raise eyebrows. The gaming world has been growing at a jaw-dropping rate over the past few years with the rise of eSports being the clearest demonstration of just how popular this medium has become. That said, there are some who have been taken by surprise at the news. This can be seen by the fact that, even now, the phenomenal potential that gaming possesses is yet to be taken advantage of at retail. We find it difficult to believe, that despite outgunning film and TV on regular basis, gaming is still the poor relation when it comes to shelf space. The whys and wherefores on this issue will be saved for another article, so instead let’s focus on how licensors can successfully extend their gaming properties from screen to shelf. The first thing to highlight is the deeper engagement and connection consumers have engendered with games versus films. It’s not a one-time watch and done deal like films for example. 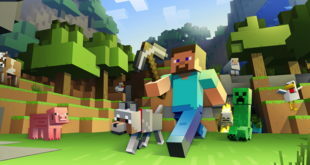 As is with any love affair it grows over time; there’s the purchase of the game, then comes the achievement of experience points (XP), levelling up, character customisation, developing an on-screen identity, understanding the maps, honing your skills, and becoming a deadly force to be reckoned with. As the hours of playing time stack up, so does affinity for the game. I know there are gamers out there nodding along as they read this. It’s a unique relationship and one primed for licensing. 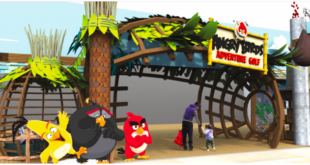 So how do licensors tap into this relationship and successfully develop a range of products? The challenges lay around firstly; getting your hands on the assets early enough to hit key buying cycles; and secondly being able to turn CGI assets into usable and compelling consumer product graphic programmes. At PowerStation Studios we’ve been working directly with publishers and games licensors for years on extending their properties beyond the screen. It’s an extremely creative process working in this space due to the data and insight that gaming provides. 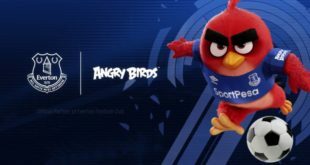 Games Publishers have a unique awareness into the tractions that their brands have with the consumer and what is resonating with them. Data from gameplay tells us which characters, stories and worlds the consumers are drawn to and spend more dwell time with or in. Combine this with the hundreds of thousands of hours of e-sports and gameplay video that is consumed online every month and you see why this is the most highly engaged entertainment audience on this planet. 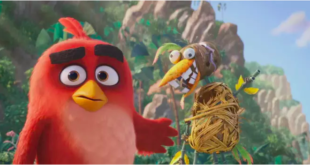 With Rovio we were set the challenge of bringing their upcoming movie to life in the form of a style guide that captured the humour and dynamic energy of the hugely popular characters, ensuring a smooth transition from smart phone, to screen. We linked directly with the studio working off early rounds of sketches and storyboards to develop assets early enough to ensure we hit the key buying cycles. Whilst the studio changed and tweaked imagery through the movie making process, our tight relationship allowed us to react and adapt alongside. Challenging? Yes. Creative? Very. Necessary to ensure a hugely successful transition from screen to shelf? Absolutely. These new look movie characters were hugely evolved from the graphics you see in the game, talking and walking with arms and legs. Key to this project was ensuring they stayed recognisable from the original characters which helped the brand gain so much popularity. We had to capture the personalities and dynamism and translate it into multiple collections of trend driven assets and products covering all target demographics and categories at the same time as the movie was being made. Working so closely with the studio allowed us to do this. Taking CGI assets and turning them into graphic assets that will work for consumer products is a necessary skill when working with games too. At PowerStation Studios, we are experts at making that conversion. Working with Activision on Call of Duty we created a bank of creative assets that enabled them to deliver a 365 day a year licensing strategy that includes the massive game launch every year but allows the brand to live at retail before and after each momentous launch. Turning Call of Duty in to a year-round brand with 12 months-a-year relevancy transformed the way retail viewed Call of Duty as a licensed brand. Every new game launch just adds to the depth and breadth of assets available to licensees and retailers. It truly is an exciting time to be in the gaming world. We are on the brink of something very special with this entertainment platform and feel very privileged to be a part of it. The unique nature of gaming means that approaching problems around licensing with a fresh and open-mind can result in some outside-the-box solutions that generate jaw-dropping results. We’re looking forward to working with more gaming companies in the future and invite everyone to keep an eye on this rapidly growing space.